Enjoy Life and Relax at Gateway! Join us in our neighborhood; feel right at home among friendly folks, good neighbors, and fun activities. Nestled in a peaceful corner of North East St. Petersburg, Gateway is an ideally located community with almost 40 acres of well-maintained home sites and facilities. Our continually updated and modern park reflects a warm, stable atmosphere that will provide you that "welcome home" feeling. The heated pool and spa invite you to relax and refresh yourself. Not in the mood to swim? We have a large clubhouse with many activities for your enjoyment. Now is the time to enjoy life and relax. Come to Gateway and start living! *Offer valid on select inventory homes. 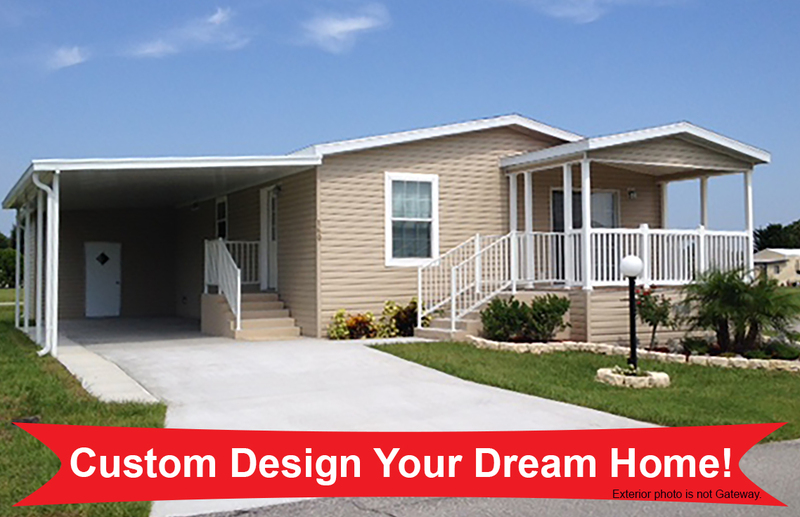 Design the home of your dreams now at Gateway! Why settle for someone else's dream when you can have your own? Design a brand new home for one of the vacant lots in Gateway. Design your dream home with one of these manufacturers: Skyline, Jacobson, Palm Harbor, Homes of Merit and mary other! Call us today at (727) 576-1287 for more information and to get the process started! – "We wanted the lifestyle afforded in a manufactured home community." December 20, 2018 Royal palms of St. Pete Market night every Thursday at 6pm. Don't miss out. December 1, 2018 Botanical Gardens wonderland of lights Over 1 million LED lights!! Great updates, great floors and a private back yard! Make: Choose from many manufacturers! Model: The newest and greatest!